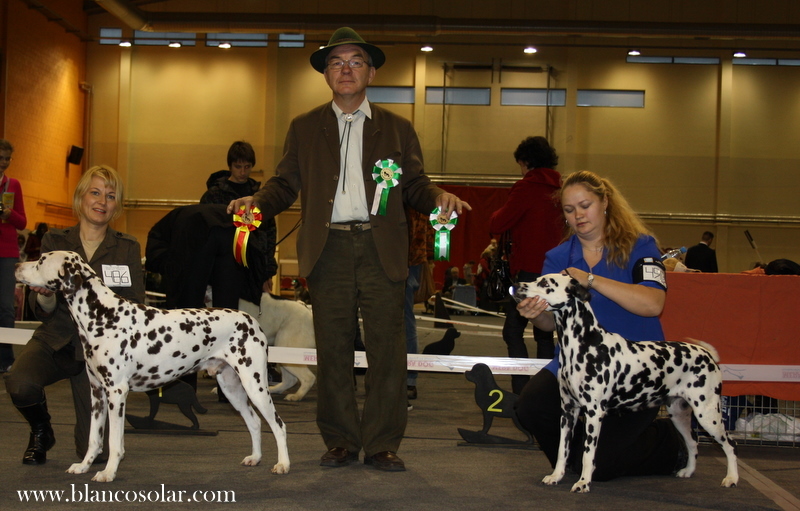 our Dalmatian Alderisland Amazing Amanda was Best Veteran and Best Female-2. Our Checky Estet Classic FLAMENDR Terrier was Best of Breed and got Rus CAC! Tsehhi terrier Estet Classic FLAMENDR FIN CAC, CACIB, BOS! Tsehhi terrier Estet Classic FLAMENDR FIN CAC, CACIB, BOB! 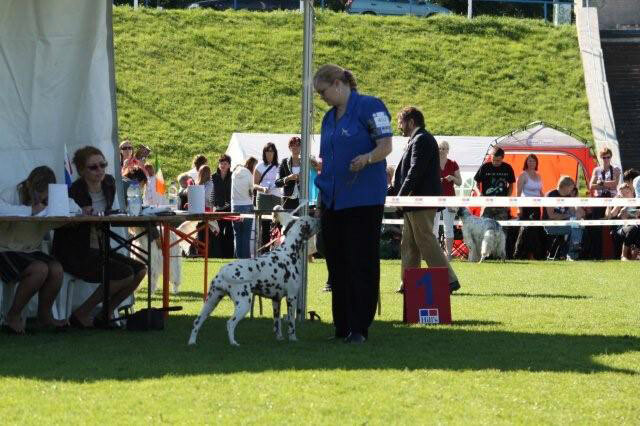 Alderisland Amazing Amanda got Vet CAC and BOB Veteran and is now EST VET CH! Estet Classic Flamendr – BOB Junior and BOB! 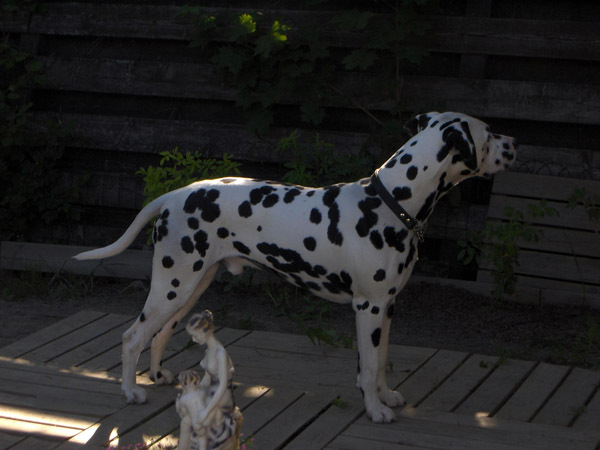 Dalmatian Blanco Blanco Solar Dad's Baby - chempionclass excellent. 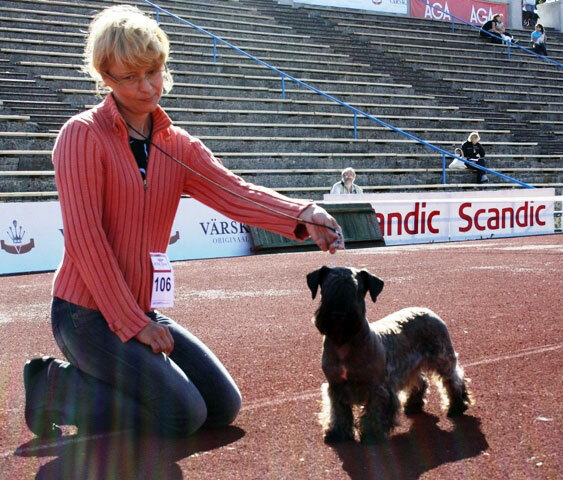 Our Chesky Terrier Estet Classic FLAMENDR got title Baltic Terrier Club Junior Winner 2009, Baltic Terrier Club Winner 2009, Jun BOB and BOB. Waiting for title Estonian Junior Champion. 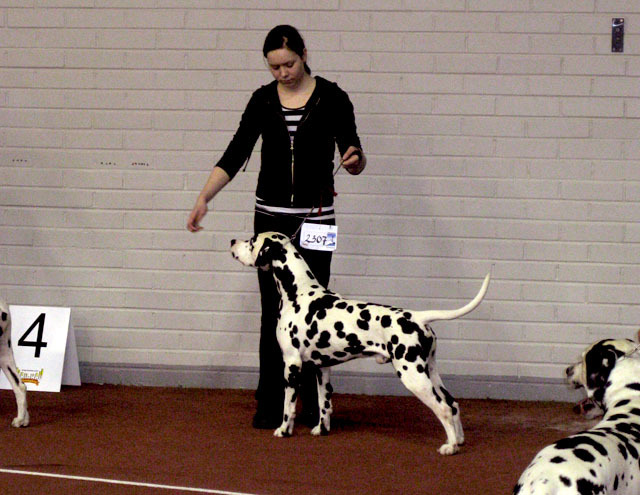 On Baltic Winner show Filja got title Baltic Junior Winner 2009, Best Junior and was Best Male 2! 27.06.2009 International dogshow in Parnu, Estonia all our dogs got excellent results! 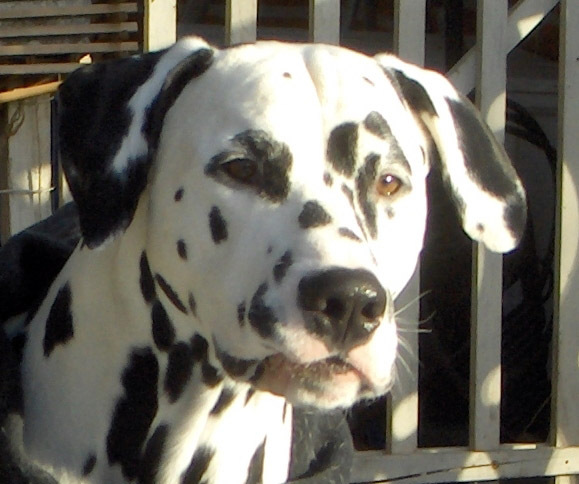 Dalmatian Blanco Solar Dad's Baby won open class and was Best Female 4! 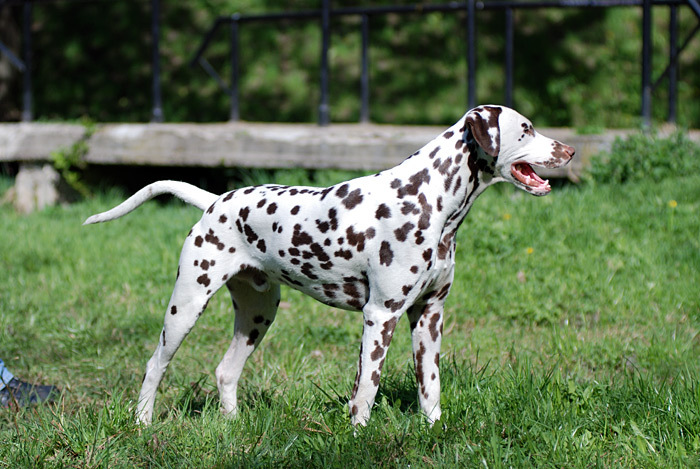 Dalmatian Alderisland Amazing Amanda got excellent. 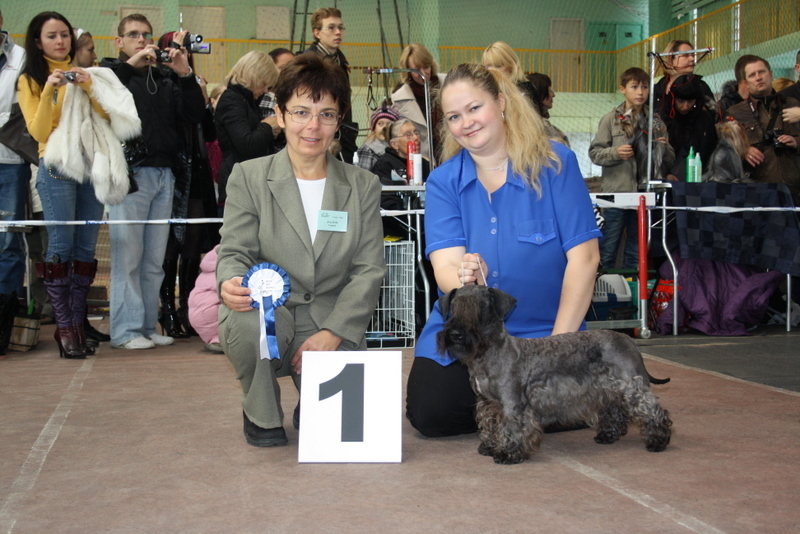 Cesky terrier Estet Classic FLAMENDR was Best Junior of Breed and was Best Male 3! 06.06.2009 International dogshow "Estonian Winner 2009"
Our Dalmatian Blanco Solar Dad's Baby Excellent in champion class. 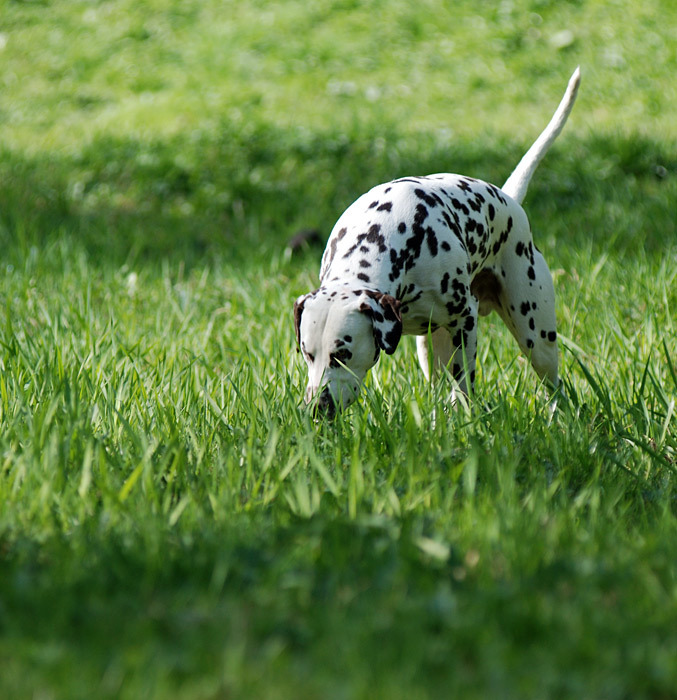 Dalmatian full results click here. 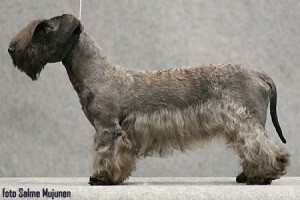 Cesky terrier Estet Classic FLAMENDR - JUN 1/1, JUN CAC, JUN BOB, BOB! 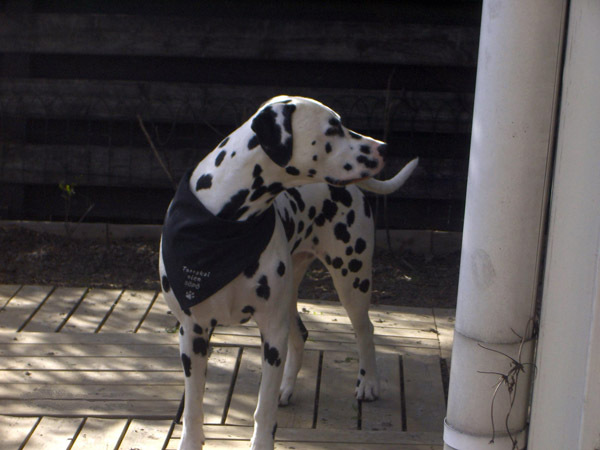 11.04.2009 International Show in Lappeenranna ( Finland ) -dalmatian BLANCO SOLAR SO MUCH OF ME open class winner, Best Male - 1, Fin CAC, CACIB, BOO! Congratulations to Marja! 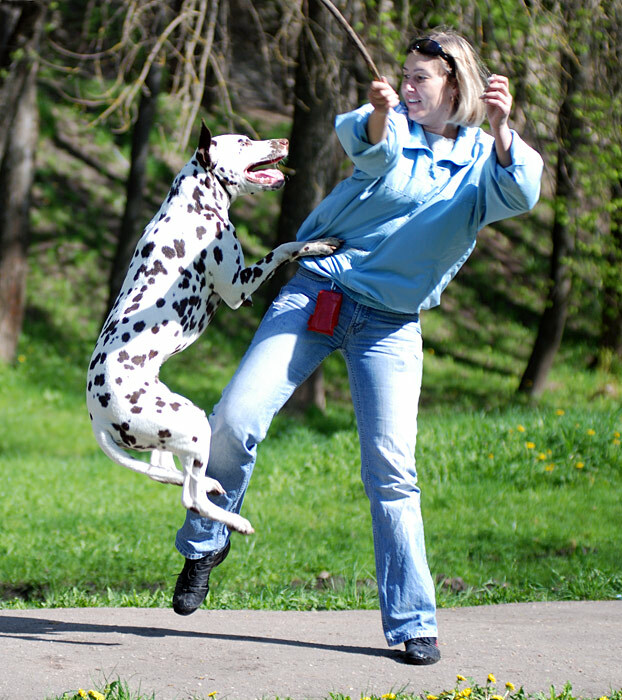 09.04.2009 our kennel B - litter is 1 years old - congratulations to all owners!!! 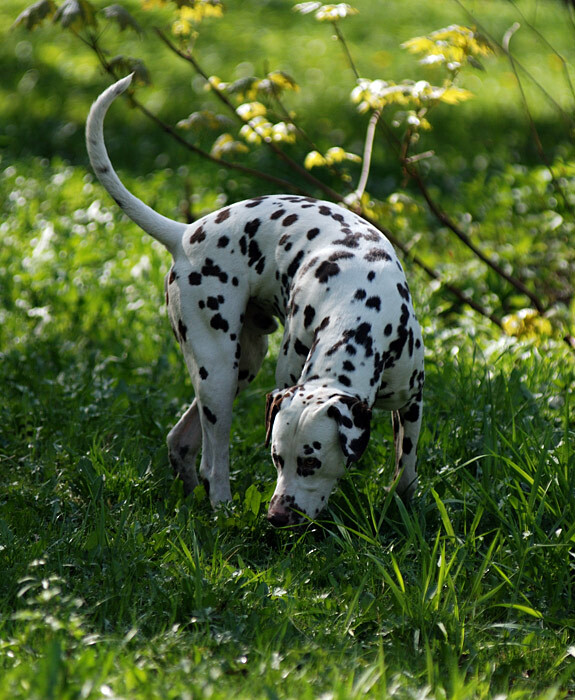 13.03.2009 our kennel A - litter is 4 years old - congratulations to all owners!!! 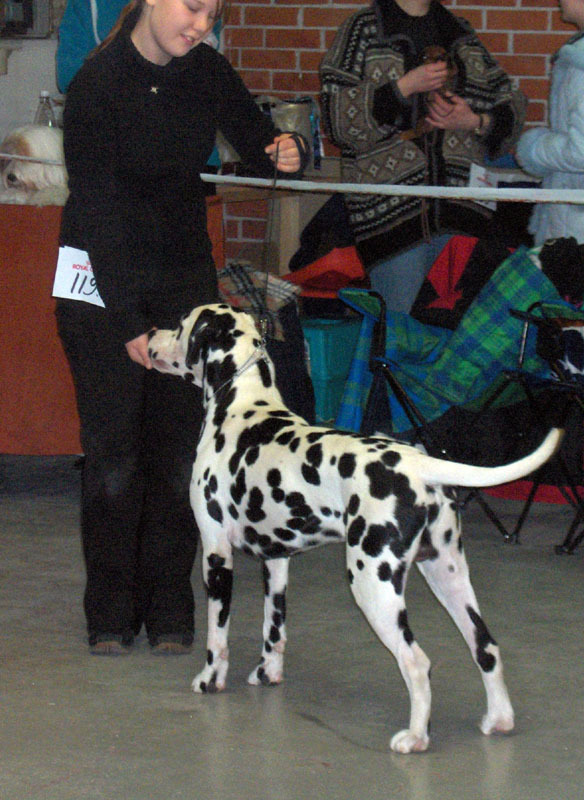 24.01.2009 International show in Turku, Finland judge Sylvie Desserne ( France)- dalmatian BLANCO SOLAR SO MUCH OF ME OPEN 1/1, Best male-2 , FIN CAC, CACIB ! Big congratulations to Maija !